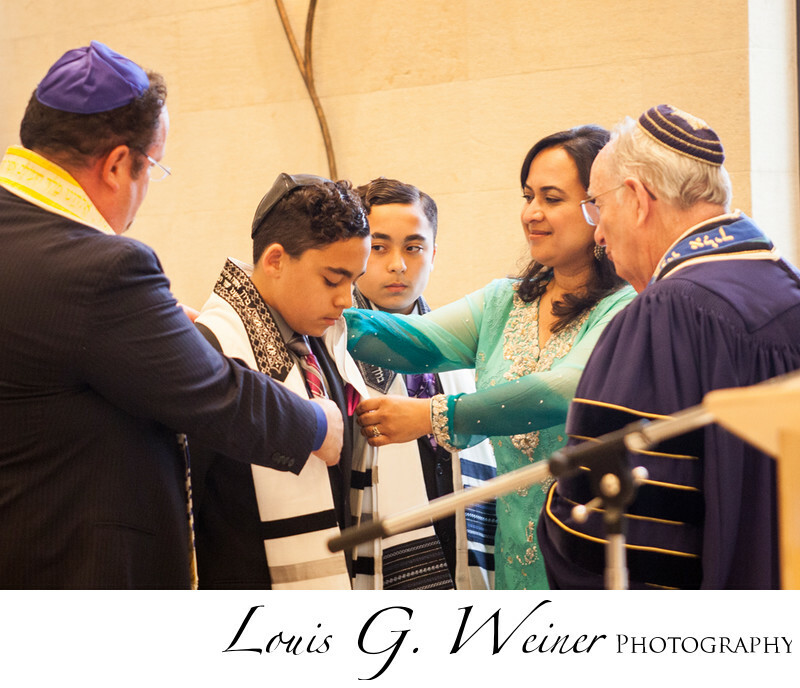 Mother and Father placing the Tallit on one of the young men, a beautiful moment. Congregation Emanu El Temple is a beautiful Temple and a wonderful location for a celebration. The young men worked long to learn all their parts in Hebrew showing true dedication to what is important to them and their family. Location: Congregation Emanu El Temple. 1495 Ford Street Corner Ford And Patricia, Redlands, CA 92373.